We respect the confidence that you and your primary physician place in us when choosing our practice for your care. 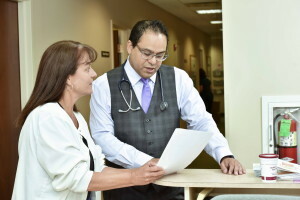 Our dedicated physicians and staff will evaluate and treat your gastrointestinal disorders with sensitivity, compassion, confidentiality and professionalism. We regard the doctor/patient relationship as sacred and believe that it is built upon trust and mutual respect. All of the physicians at Gastrointestinal Associates provide care for patients with a broad array of gastrointestinal illnesses and complaints. All of our physicians also perform standard endoscopic procedures such as endoscopy, colonoscopy, sigmoidoscopy, and esophageal dilation. In addition, we offer a number of specialized services and programs. ERCP (endoscopic retrograde cholangiopancreatography) uses a special endoscope to access the bile ducts and pancreas. This procedure offers the ability to remove stones, take biopsies, and bypass obstructions in these areas. EUS (endoscopic ultrasound) uses an endoscope modified with an ultrasound probe to produce highly detailed images of the GI system, pancreas, bile duct and gallbladder, as well as lymph nodes and blood vessels outside the GI tract. Biopsies can be obtained with a high degree of accuracy. Stent placement is used to bypass obstructions in bile duct, esophagus and colon. Using a combination of endoscopic and Xray techniques, the gastroenterologist can place a small device through a narrowed area; the device expands after it is placed and provides a passageway for fluids or food. BARRX™ is a device which uses radio frequency waves to destroy precancerous tissue in the esophagus. Our practice includes physicians who sub-specialize in the care of IBD patients. We have an on-site infusion and injection therapy center where patients can be treated with biologic agents (Remicade, Humira, Cimzia, Entyvio) in a comfortable setting, with monitoring by a physician and a specially trained nurse. Our physicians are also experienced in the management of other immunosuppressive medications such as 6-mercaptopurine and Imuran (azathioprine). Capsule endoscopy allows our physicians to visualize the small intestine, an area of the GI tract which cannot be seen with conventional endoscopy and colonoscopy and which can cause bleeding, pain, diarrhea or other problems. Patients come to our office early in the morning to swallow a pill containing a light, camera, and transmitter. The images sent by the capsule are recorded on a receiver worn on a vest during the day of the test, then downloaded and reviewed by our doctors. 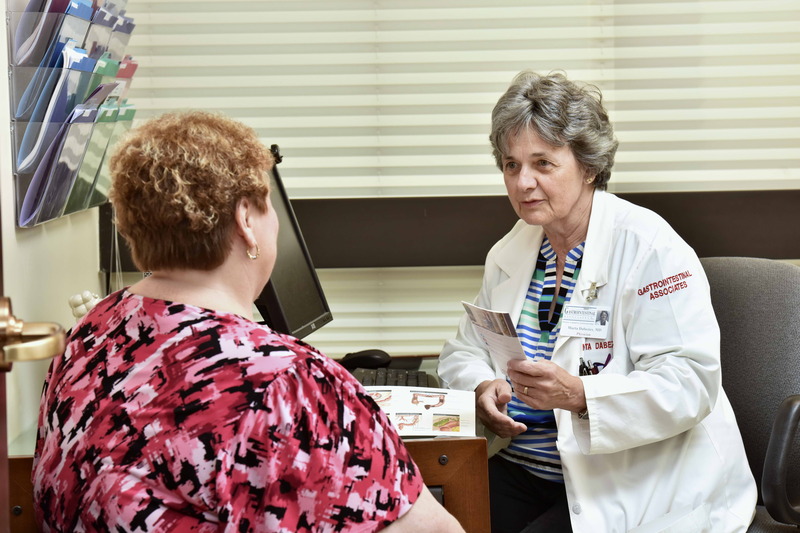 Several of our physicians have special training and expertise in liver disease and are experienced in the rapidly evolving area of hepatitis treatment. They work closely with ancillary personnel who have been trained to provide supportive services when needed, such as instructing patients in self-injection of hepatitis medications and managing side effects of treatment. 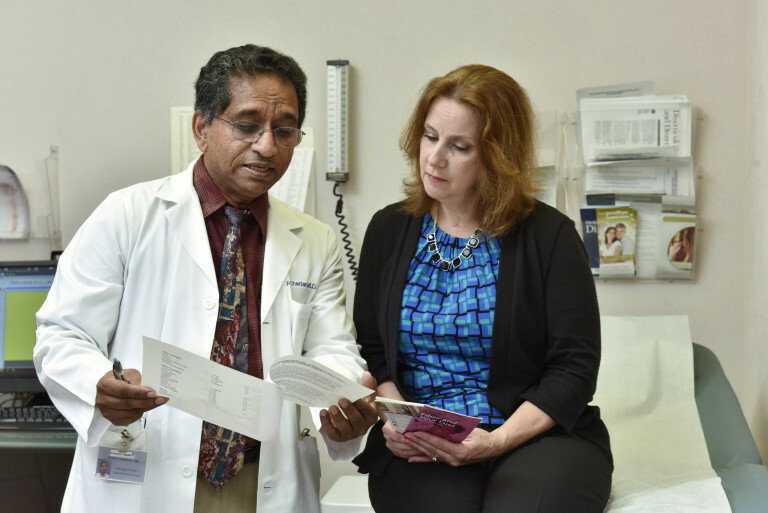 Our liver specialists have built close relationships with the liver transplant team at Thomas Jefferson University Hospital and coordinate the care of transplant patients from the initial evaluation to the post-transplant period. A transplant hepatologist from Jefferson is available in our office once or twice monthly when additional input is needed. We offer in-office management of symptomatic internal hemorrhoids using the CRH O’Regan System, an outpatient banding system. Most patients require three brief office sessions, each done several weeks apart, to achieve complete relief of symptoms. Before banding is scheduled patients are evaluated in the office to ensure that this procedure is the appropriate treatment for that individual. Gastrointestinal Associates was founded in 1972 by William Mahood, MD, the first board certified gastroenterologist on staff at Abington Memorial Hospital and Holy Redeemer Hospital, and the first person to introduce modern GI techniques including endoscopy and colonoscopy to Montgomery County. Over the years the practice has grown steadily and has added expertise in a wide ranging set of GI diseases and techniques. Our current staff of 17 professional health care providers is ethnically diverse and includes 5 women. In 2006 the practice opened a satellite office in Doylestown and now provides comprehensive office and procedural services to patients throughout Montgomery and Bucks Counties. The operators at Gastrointestinal Associates are available from 9 AM until 4:45 PM Monday through Friday unless the office is closed. At all other times the phones are routed to an answering service. Routine messages will be held until the next business day. Emergency phone calls will be taken and information passed on to the on-call doctor. There is emergency coverage 24/7. If you have Call Block, you will turn this off in order for the doctor to contact you. Gastrointestinal Associates, Inc. participates with Medicare and a number of HMO and PPO private insurance plans. If you are covered by insurance other than Medicare please call your insurance company to make sure you understand what financial responsibility you may have, such as co-pays or deductibles. Insurance plans differ in the services they cover and the payment structure frequently includes a co-pay or deductible which is the patient’s responsibility. It is against the law for Gastrointestinal Associates, Inc. to waive co-pays, deductibles, or other fees which are your responsibility under your insurance plan. Bring your health insurance card to the appointment. We will scan it into your electronic chart. Call your insurance company to make sure that we participate with your insurance. If you have secondary insurance make sure to bring that card as well. Bring your driver’s license or other photo ID. We will scan it into your electronic chart. If your insurance requires a referral from your primary doctor, please call for that at least one week prior to your appointment so that your doctor’s office has time to process the referral. Your doctor’s office may need our practice NPI number to process the referral. Our group NPI # is 1013436542. Your co-pay is due on the day of your visit. We accept cash, check, debit cards, and credit cards (Visa, Mastercard & Discover). The co-pay is part of the payment that the insurance company has approved. If you cancel your appointment with less than 24 hours’ notice, or if you do not keep an appointment, you will be billed $50. You are personally responsible for any fees not covered by your insurance and you will be billed by our office. You (your insurance company) will receive a bill from our office. This bill is for the physician who does the procedure, interprets the results and develops a plan for any care that you may need. You (your insurance company) will receive a bill from the procedure unit. This facility is not part of Gastrointestinal Associates, Inc. If you have any questions about billing from a procedure unit you will need to contact the unit individually. You (your insurance company) may receive a bill from the anesthesiologist and from the lab that processes any specimens that may be taken at the time of your procedure. As with the facility, if you have questions about those bills you will need to contact the anesthesiology group or the pathology lab directly.